Entrepreneurship is an amazing journey for those who embark on the possibility of freedom the path to success brings. However, being an entrepreneur comes with its share of unforeseen dynamics that not everyone can stomach along the way. After mentoring many entrepreneurs over the years, the one key tool that I recommend is having a weekly or bi-weekly therapist. A sacred place where a CEO or building entrepreneur can unload their issues in a place where they can get the support of a discerning ear. A weekly therapist can be the accountability a business owner needs to stay focused on managing the fluctuations that come with entrepreneurship. Here are six reasons why every entrepreneur should have a therapist. There’s no doubt that entrepreneurial life can be stressful. The ongoing need to manage life, the demands of your staff and clients or offices in foreign markets can at times make you feel like you’re missing out on valuable fun or working around the clock. Also, let’s not forget the lack of sleep on the days your to-do list keeps you up at night. A therapist can hold you accountable by teaching you how to manage your stress and anxiety in a healthy manner by focusing on the solutions, not the fear and a little accountability by handholding along the way. Human beings tend crave certainty. Certainty allows a sense of security. However, for the entrepreneur, uncertainty is a trait you must become very comfortable with in order to rid the waves of your journey. Knowing you can pay the bills over the foreseeable future and having job security may bring a form of comfort to most. Working for yourself, however, can come with the price of a future that isn’t anywhere near as certain. Discussing your fears with a therapist can be far more effective than talking to your friends and family who may be working a comfortable 9–5. Entrepreneurs need the reassurance that their emotional fluctuations are normal and encouragement to keep going. Social isolation can occur, particularly in the early stages. Beware that isolation is a precursor to depression. You’re missing out on the camaraderie of having colleagues and many of your social interactions may be for sales or networking purposes, meaning you’re not forming deep, social connections. Another way you can feel isolated is when you’re not feeling properly supported and are being told to “get a real job” by friends and family. It’s important to be aligned with like-minded people who can support your entrepreneurial journey. Your friends and family are not your emotional dumping ground. If they are not entrepreneurs, they will have difficulty relating to the daily challenges you face in your business. Suggestions would be to join a mastermind for entrepreneurs experiencing similar daily dynamics. Part of paving your own career path in life means you want to “put yourself out there.” The perception of many is the business owner should “have it all together,” especially when presenting to clients, social audience, staff and potential stakeholders. The image you’re portraying can be the very opposite on days where your humanity catches up to the reality. It could be fluctuating moods, unresolved trauma, children, relationships and self-image issues. Sometimes confiding to your peers in a mastermind creates more insecurity. A therapist can aid you in garnering a fresh perspective by giving you the emotional space to be vulnerable about your insecurities to a third-party who is not apart of your daily living. Some of the traits that make you a successful entrepreneur, such as creativity, independence, risk-taking, empathy, and the ability to adapt, are born from the same detrimental traits such as perfectionism, anxiety, and discomfort. 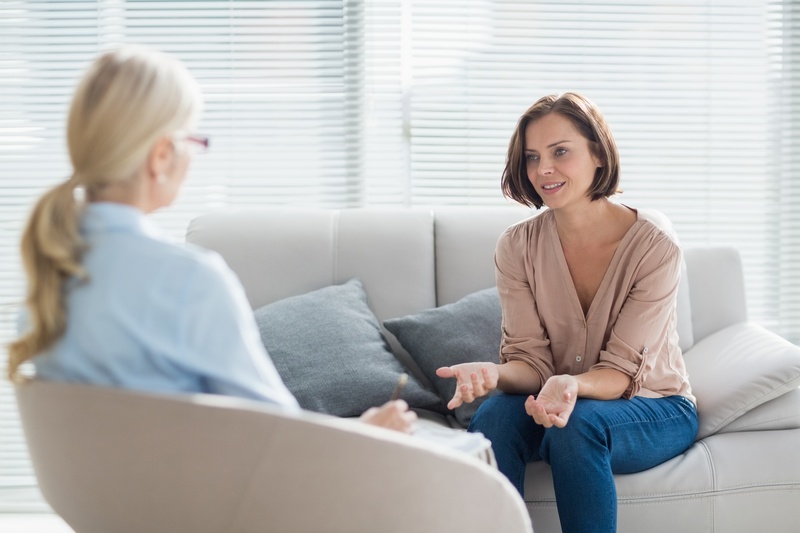 Mutually working with a therapist can teach you how to come to terms with any perceived ‘negative’ traits as well as helping you turn those limited characteristics into a creating positive impact. Many entrepreneurs can lose their sense of identity when their persona becomes entrenched in the role they hold in their company. There must be a separation of self and business. Working collectively with your peers and therapist to keep you focused that you are deserving of having a life outside of work, it is not your job to fulfill an unhealthy perception by your clients, staff, or anyone else. People project their standards and expectations onto you which you may not at times unable to fulfill. Don’t place yourself at the whim of others, you are a human being. You have highs, lows, wins and losses. Your measuring stick of success is upheld by your goals and standards, not anyone else. A therapist can help you set realistic expectations for yourself by helping you see the bigger picture. This way you can enjoy the success that comes with a thriving company while upholding healthy boundaries with others to maintain emotional stability. Janét is the Chairwoman & CEO of Ahava Group Global-- a women-led modern media parent company that serves Fortune clients and media companies in nine locations globally. She holds a Ph.D. in metaphysical sciences and an EMBA. She is known as a serial entrepreneur, author, investor, and philanthropist. She has interviewed some of the world’s most recognized celebrities, authors and thought leaders on empowerment and emotional intelligence. Janét has been featured on numerous media outlets globally such as SUCCESS, Oprah, Huffington Post, and CTV. She has delivered keynote talks for companies such as Microsoft, Innovation Guelph and the Conrad School of Entrepreneurship and Business part of the Faculty of Engineering at the University of Waterloo.